I was browsing one of the old Kouki 180SX Aero threads and came across this photo from April 6, 2011. 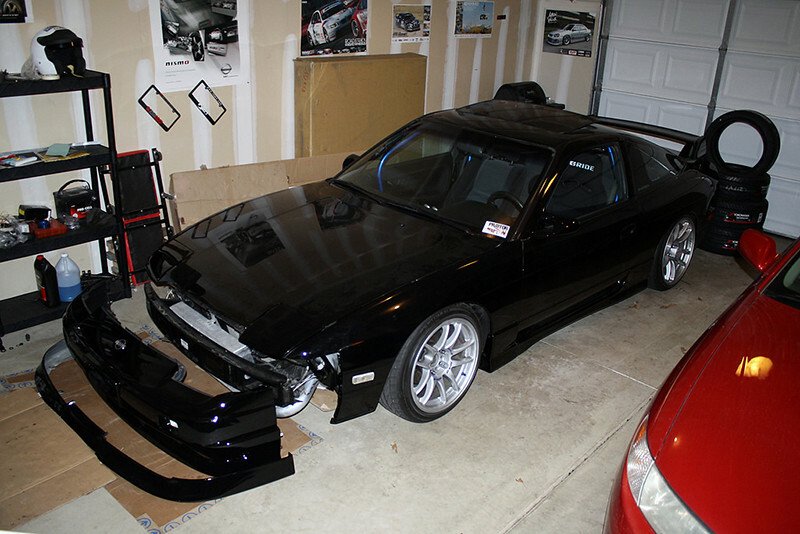 The similarities to what I am currently doing to the car are eerily similar- Kouki 180SX front and rear seats, Black Bride Zeta III, and installing freshly painted OEM front fenders with a kouki 180SX front bumper and lip. Pretty funny. I’m really geeked about getting this car together. All of the parts I sold have been shipped out and their replacements have steadily been trickling in. I’ll be picking up a couple items after work today including my freshly painted front fenders. I’m hoping to make some progress over the weekend if possible. Jimmy and I will be departing for D-Day at USAIR in just three weeks, so I need to put the pedal to the metal and get this thing back together! I should have a pretty solid update for you on the progress sometime next week. Enjoy the weekend!